The driver’s injuries are not thought to be life threatening. 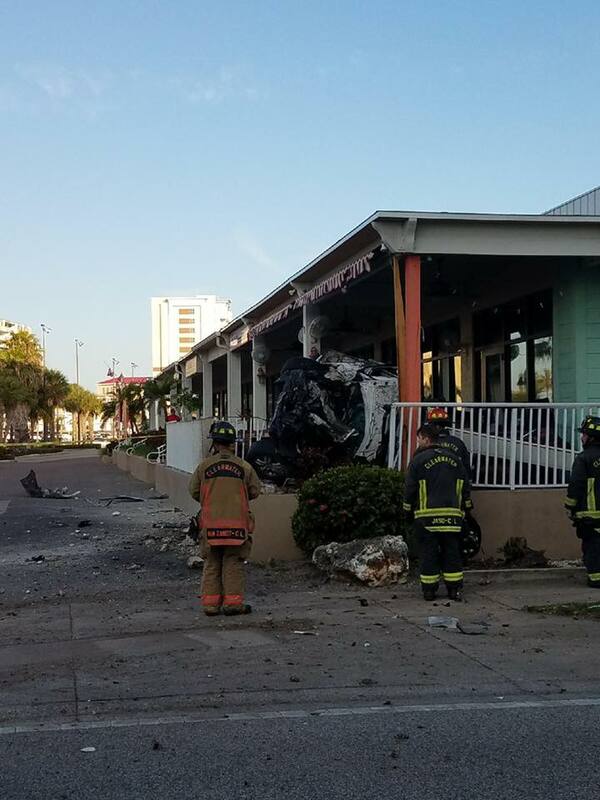 CLEARWATER BEACH – A teenager was seriously injured this morning (April 22) when he the SUV he was driving crashed and burst into flames, according to the Clearwater Fire and Rescue Department. The name of the 18-year-old driver has not been released, but he was flown to Bayfront Health St. Petersburg with serious injuries. The injuries are not thought to be life threatening, firefighters said. The crash happened about 7:30 a.m. on S Gulfview Boulevard. Firefighters said a Nissan Rogue was headed north on Sand Key Bridge when the driver lost control as he tried to make a left turn onto S Gulfview Boulevard. 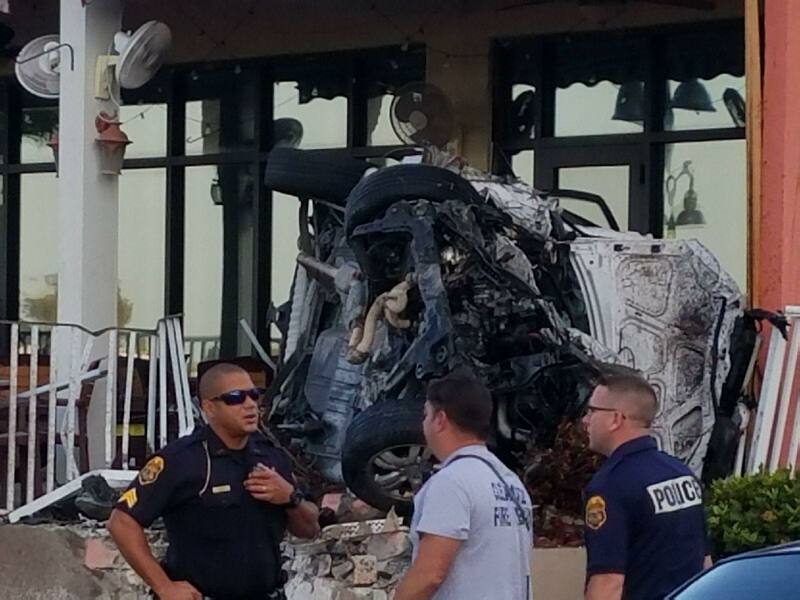 The SUV flipped several times before crashing into the front of Cesare’s at the Beach restaurant at 794 S Gulfview Blvd. The SUV caught fire and bystanders were able to pull the 18-year-old boy from the vehicle. After being treated by Clearwater fire medics, he was taken to Bayfront by helicopter. 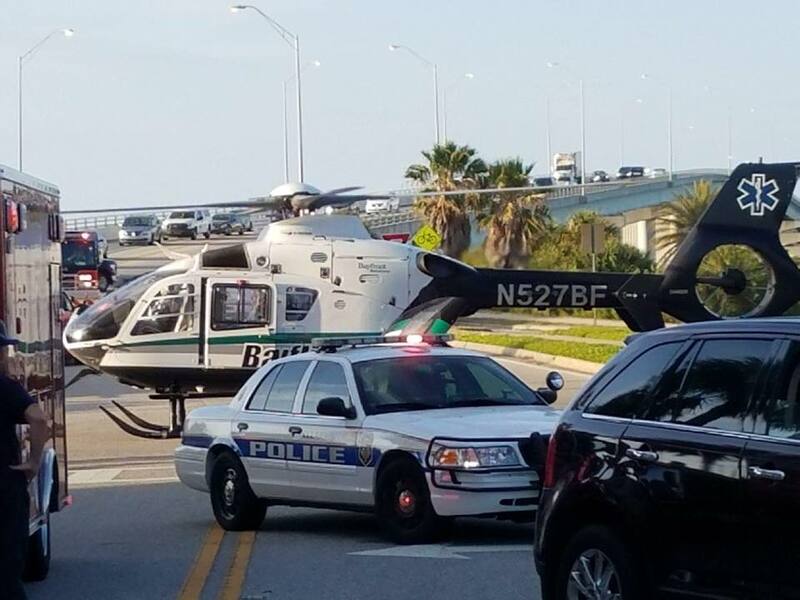 Motorists may experience some delays on the north part of the Sand Key Bridge and that section of Gulfview Boulevard as the investigation continues. For information about Clearwater Fire and Rescue, go to myclearwater.com. Photos courtesy of Clearwater Fire Rescue and the Clearwater Police Department. The driver's injuries are not thought to be life threatening.